Vangaveeti Telugu Movie Review, Audience Response, Its a Good Movie. Movie got mixed response from audience all over the world. Few people say it is must watch and few people are saying it as just revenge story of killings but not up to the expectations. Few people from Vijayawada is also saying that this is not original story and director varma made this for only to cash the popularity. Movie received decent collections worldwide and excellent collections from coastal andhra, Especially from east, west and vizag. 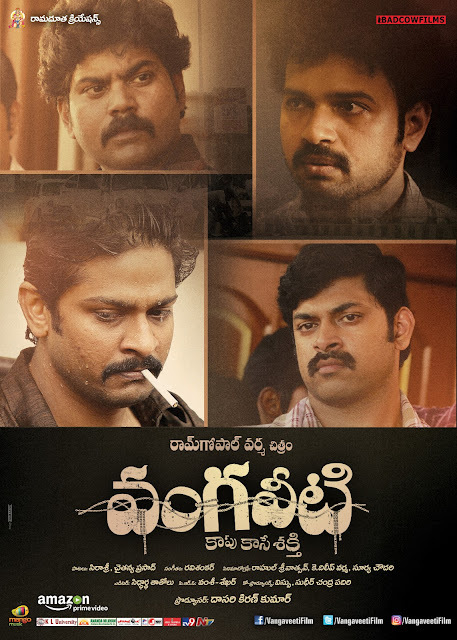 Story - Movie is about Vijayawada roudyism and politics in 1980 - 2000 and basing on true story. Movie starts with director ram gopal varma narration and ends with same. Movie starts with venkata ratnam and vangaveeti radha's conversations and ends with radha's brother ranga's murder. Also rgv didnot showed who is behind ranga's death and left it that only durgamma of Vijayawada should know. Posititives - Story, Thrilling first half, New actor's amazing performances, Songs, Camera, BGM. Negatives - Dragging 2nd half, BGM at few scenes are flat, More emotional impact is needed, Dubbing at few scenes. Verdict - Its a watchable movie for you this weekend, Treatment which RGV director showed and elevated in first half is great asset. If he would have taken more care in treatment and story in 2nd half, movie will be in another blockbuster level.